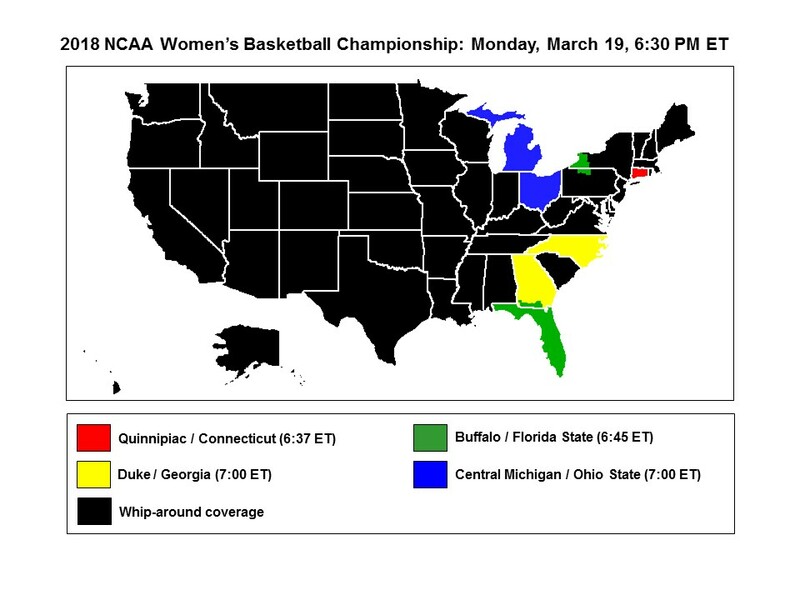 The maps below display home market-protected games for the women's NCAA tournament. These are areas that will see their home market-protected game in its entirety. 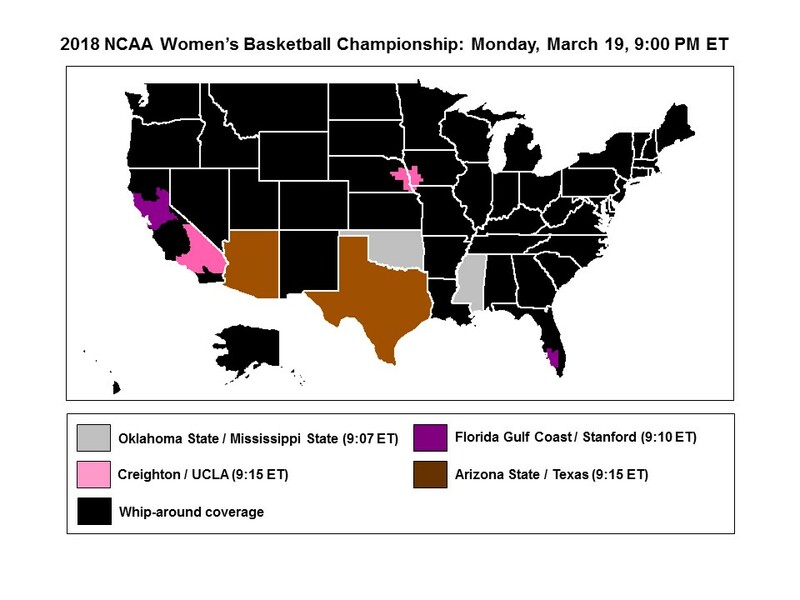 The rest of the country (black areas) will be part of ESPN's national telecast, which will allow the viewer to see the most compelling action from multiple games. Channel listings will be added when they are available.